One of the easiest ways of entertaining during the holidays is creating an array of cheese pairings! 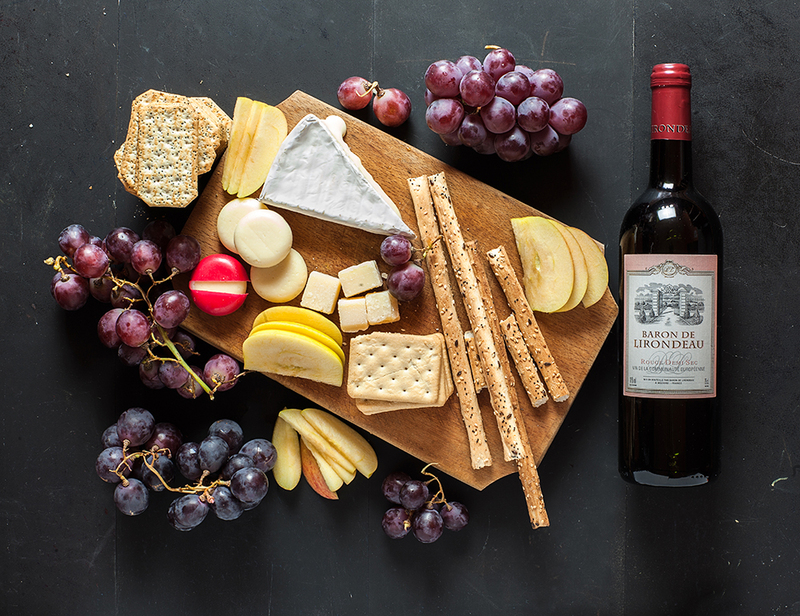 Impress your guests with a selection of cheeses with jams, wines, and more. They’re quick to put together if you’re in a pinch and one of our resident cheese experts, Chelsea, has put together some awesome pairings for your to try. A beautifully decadent triple crème with a fluffy bloomy rind. Rich and buttery. Pairs well with prosecco and champagne. Spread on a baguette with a dollop of fig jam. A fantastic table cheese for holiday entertaining. Made in a gouda style, this semi-firm cheese is dense and creamy on the palate, but it has a cheddary bite. It’s a great crowd pleaser. Enjoy on Rustic Bakery Rosemary Flatbreads. Also awesome for grilled cheese sandwiches. Pair with a fruity pinot noir, zinfandel, or IPA. This is a gorgeous bloomy rind goat with a creamy outer edge and a chalky interior. Slight floral flavor, but buttery and nutty. Lovely spread atop Fig and Olive Raincoast Crisps. Pair with sauvignon blanc or pinot gris. Made in a Stilton style, so it’s nutty and smooth. Fabulous texture – creamy with a slight grittiness from the blue veining. Enjoy on a toasted slice of cranberry walnut bread, drizzled with honey. Pair with sauternes or port for the ultimate indulgence. THE CHEESE for holiday entertaining. Only available during the late fall and winter seasons, Vacharin Mont D’Or is washed in a brine and wrapped in spruce bark. Break open the top rind to dip into the liquid gold decadence. The flavor is a buttery, meaty, woodsy, and sharp all at once. Simply enjoy with a crusty rustic loaf of bread. Pairs well with chardonnay or Gewurtztraminer. What’s your favorite cheese pairing? Share it with us in the comments below! Don’t forget to share your cheese pairing photos by posting onto our Facebook page or by using the hashtag #CheeseFromMollies on Instagram or Twitter. Have a happy and cheesy holiday season!